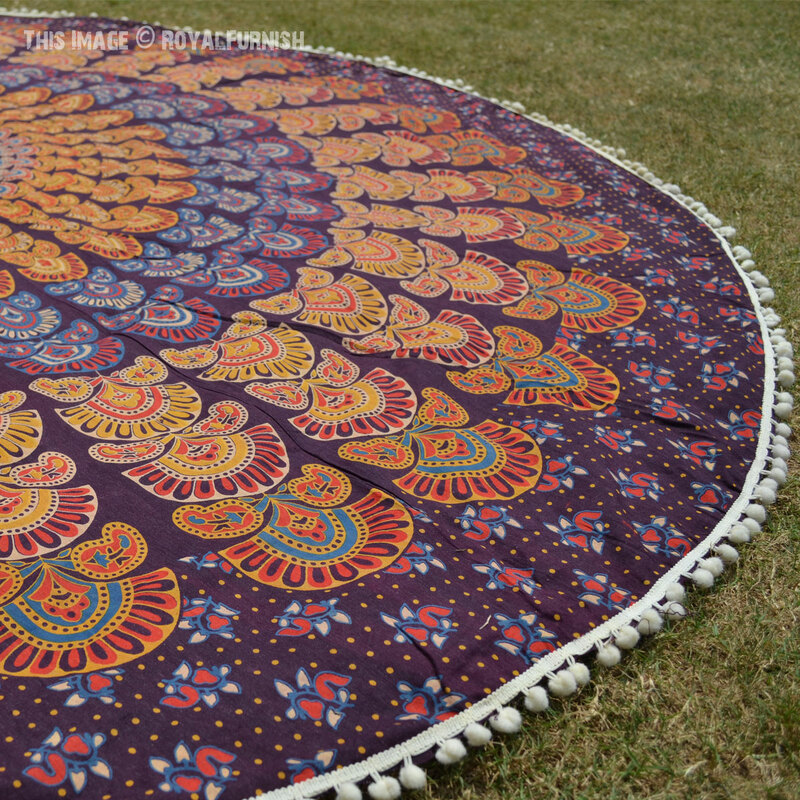 Go to the beach with colorful mandala roundie beach towel and lay down comfortably at the beach. 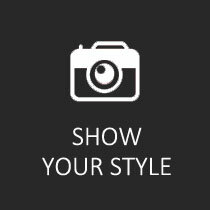 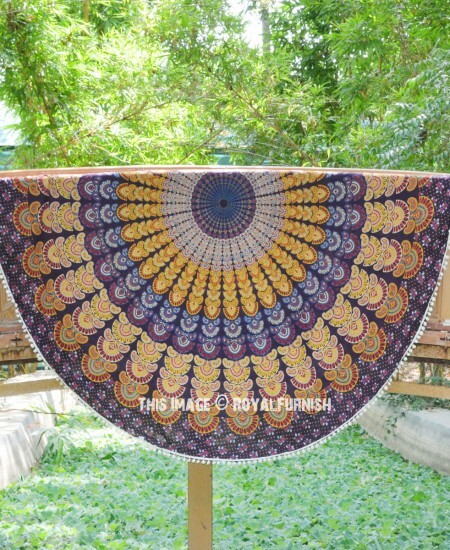 Made of tapestry cotton material combines softness and durability, and the fringe adds unconventional style. 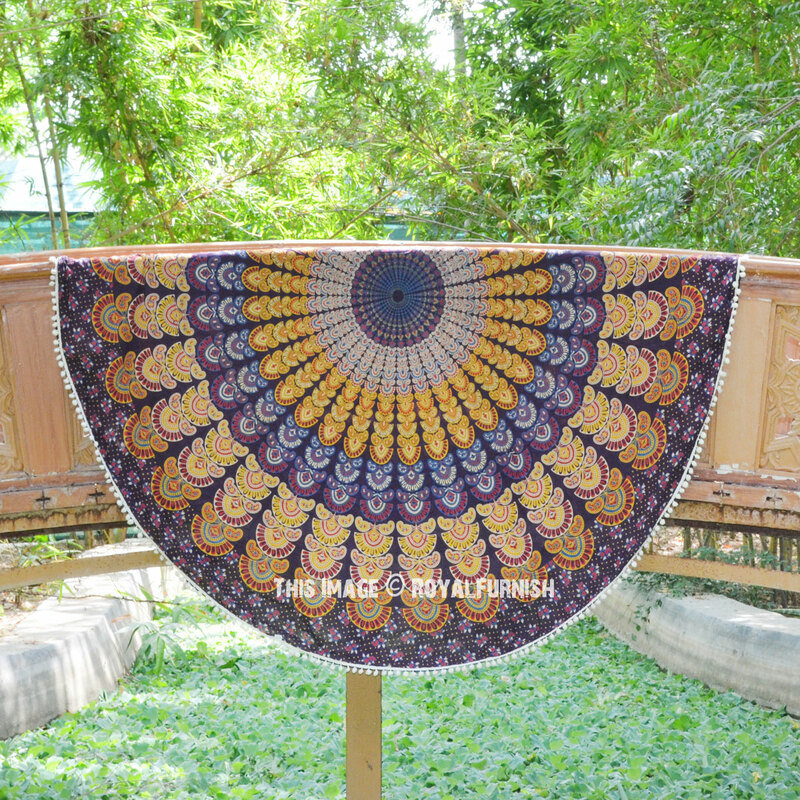 The mandala pattern makes this towel easy to identify and adds a bit of color to your home. 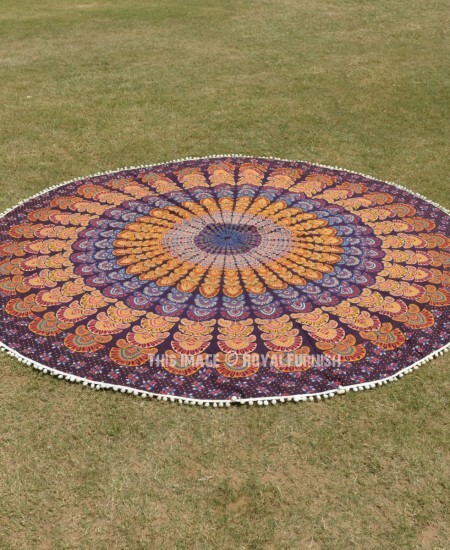 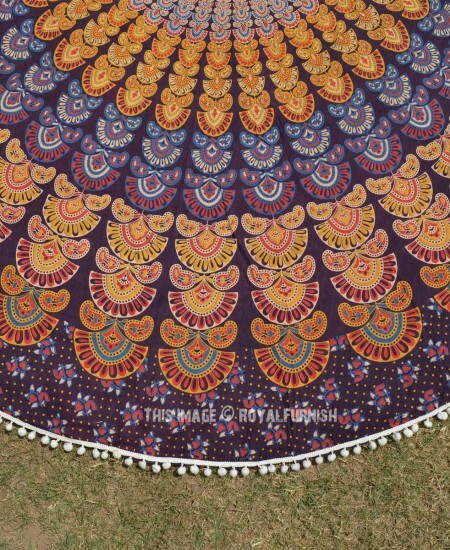 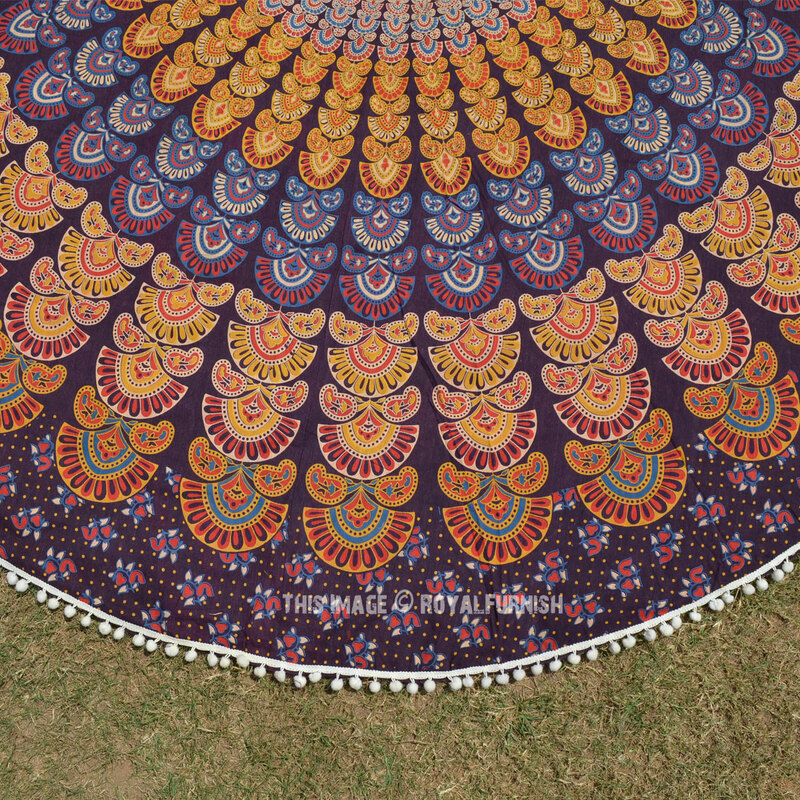 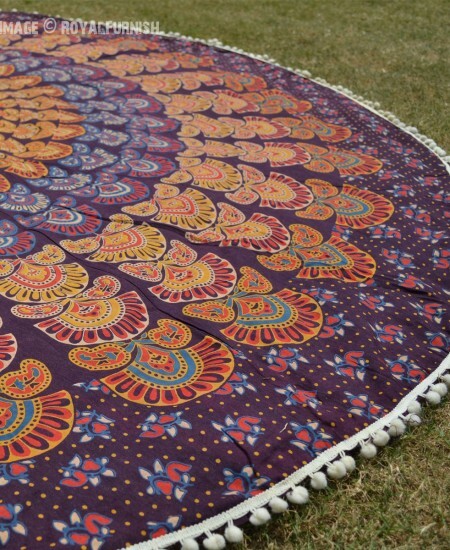 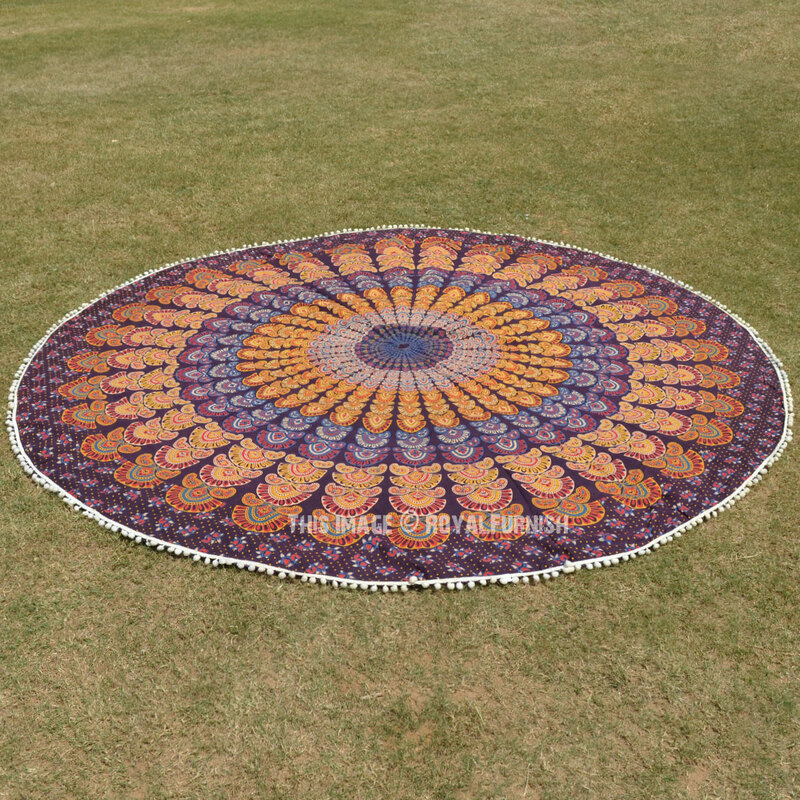 Multi Maroon Colorful Evershine Mandala Roundie Beach Throw added to the cart!